When you step into the visitors’ clubhouse, you see and hear what he means. Workers are installing walls, putting ceilings back together, painting, sanding, sawing and hammering. And Gardiner oversees all the action. 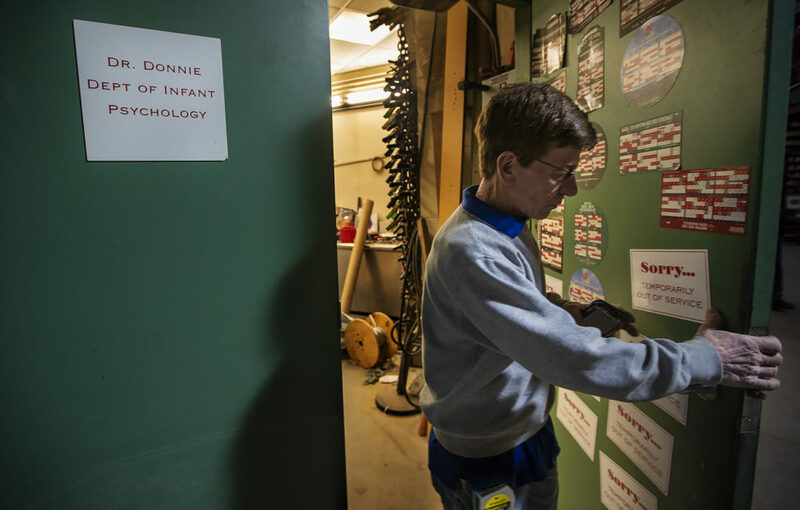 The toughest job at Fenway — and, arguably, in all of Major League Baseball — might belong to Gardiner. He’s Fenway's facilities superintendent. That means he makes sure the oldest pro ballpark stays standing and keeps running smoothly. A lot of critical work takes place well before every home opener. That’s obvious when you watch Gardiner get Fenway ready for Tuesday’s home opener between the Red Sox and Toronto Blue Jays. Inside the visitors’ clubhouse, Gardiner moves from the new whirlpool room to the new training room to the new video coaching room. He gets progress reports and gives advice. There's talk about changing filters and smoothing out walls and cutting lines. The same thing happens when Gardiner visits the Red Sox clubhouse area and checks on manager Alex Cora’s new, larger office and other upgrades. Teams have outgrown Fenway’s cozy clubhouses. So there’s always plenty of work to do for the Red Sox and visiting teams. Gardiner’s quirky sense of humor matches the quirky ballpark he maintains. He’s 5-foot-3, and a soft-spoken but commanding presence. It’s clear he knows how to handle the unpredictable challenges that come with renovating a 107-year-old ballpark. He should. He’s worked there for three decades. And with a footprint as small as Fenway’s, every inch matters. Gardiner likes to say he plays a “Game of Inches.” He’s constantly figuring out how to make the best use of limited space, especially in the clubhouse areas. Sometimes he’s also working around brass waterlines that have stood the test of time. 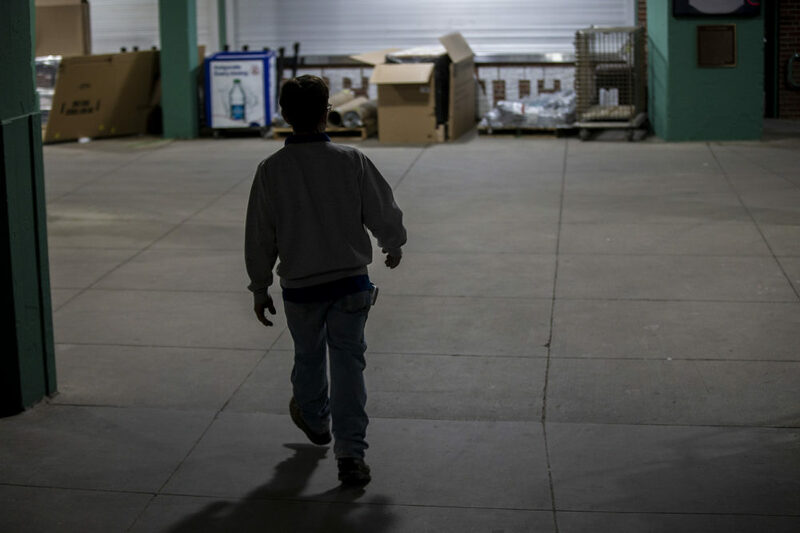 During offseason renovations, sometimes he’s uncovering remnants from Fenway’s past. When the ballpark reopens for business each season, Gardiner’s focus shifts from renovations to preventative maintenance. 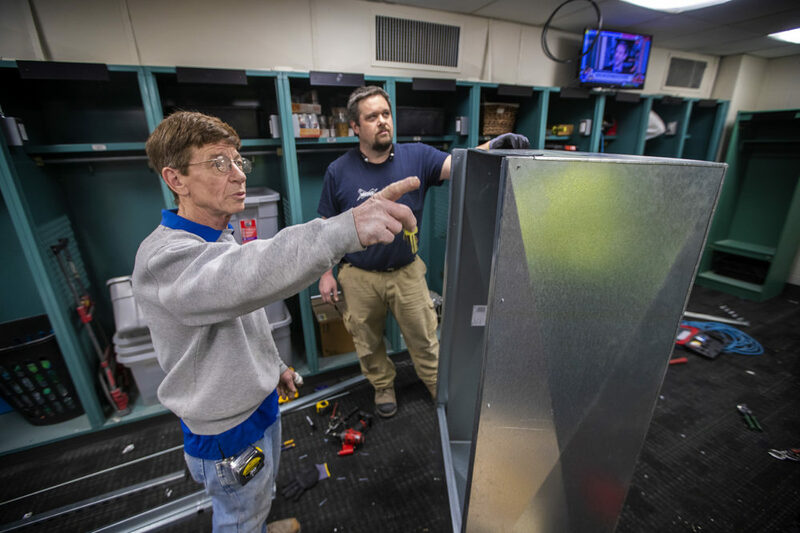 But before the games begin again, there’s a lot to do: turn on the water to concession stands, test generators, check emergency lighting, finish the construction in both clubhouses. The punch list goes on and on. And Gardiner’s busy staying on top of it all. Even if that means putting in 100-hour weeks and, occasionally, sleeping in his office. One thing Donnie Gardiner doesn’t do: Watch the Red Sox play. He’s too busy monitoring what’s happening off the field.